Clementine loves exploring all the different smells in the garden. She finds the stinkiest smell of all and decides to roll around in it. Mum takes one whiff and tells Clementine she needs a bath. “Not a bath!” thinks Clementine and she starts running. Clementine hides in a variety of different places in the house to try and escape the bath. Will Clementine’s family find her? And more importantly, will she be given the dreaded bath? 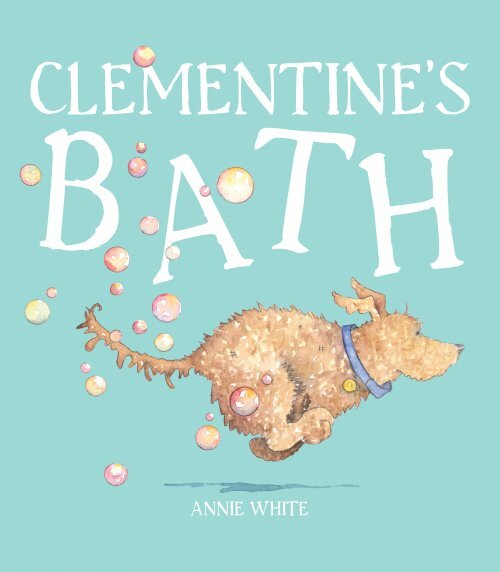 Clementine’s Bath is a lovely rhyming book which is a pleasure to read aloud. Young children delight in following Clementine’s humorous antics around the house and garden. This is a particularly good book to choose if you are targeting prepositions. There is a very handy map at the end of the story, which children can use to track where Clementine went and further reinforce the prepositions modelled in the story.